The G! 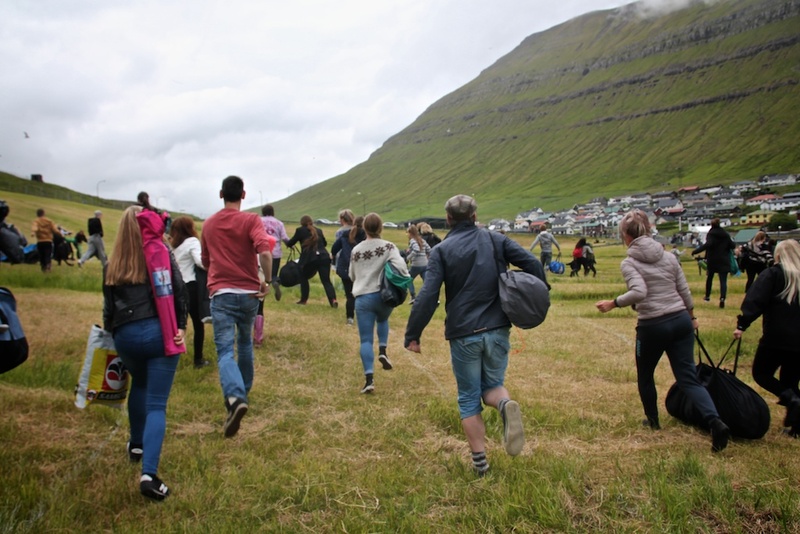 Festival, one of the biggest and most anticipated music festivals in the Faroese summer, takes place each summer in my own home village of Gøta! 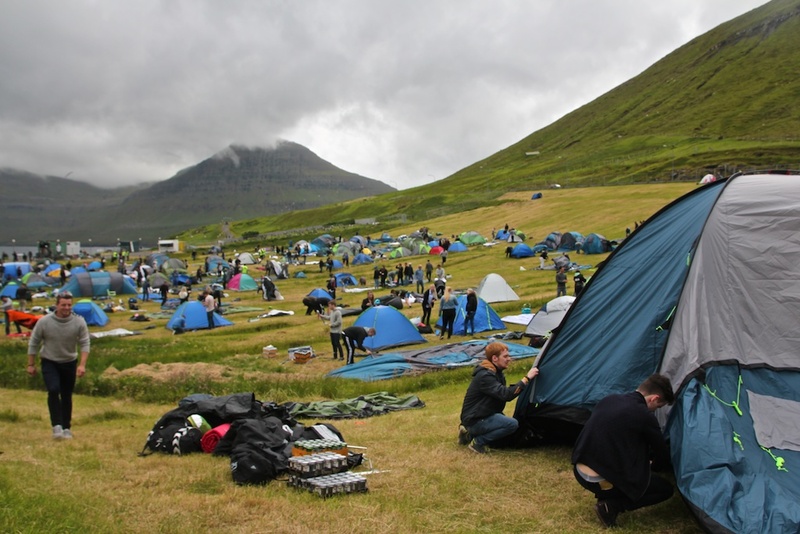 There’s camping in Norðragøta, a few events in Gøtugjógv and the bulk of the action will happen on the stages of Syðrugøta, just a short walk away. The main event begins today, but the festival spirit arrived yesterday afternoon with the most eager of the campers, who line up in anticipation of the opening of the camping area, sometimes 6-7 hours early (even though there is plenty of room for everyone!). Some of the groups have camp names, like “Flower Power” (who decorate their tents with flowers) and “The G! Spot” (what a pun). 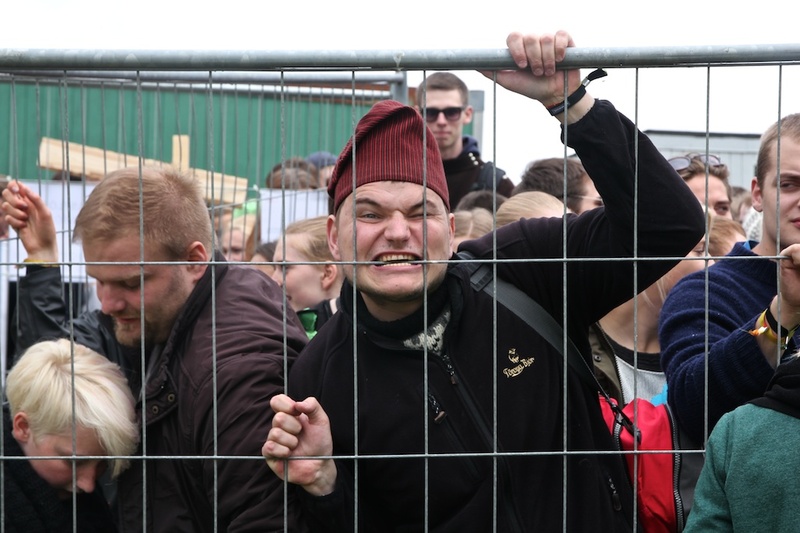 This year, like last year, the first campers on the scene were “Skopunhagen” who entertained other early arrivals with beer contests and quizzes before taking their rightful position at the very front of the line. Herri from Skopunhagen is ready for the Tent Rush at G! When the gates open, there is a mad rush to select the best spots and pitch your tent as quickly as possible. The frantic, confused efforts made it fairly clear that most of these people had not used their tents before and had also done a fair bit of pre-gaming. But that’s just part of the fun! Residents of Gøta (except for yours truly, who was out in the field getting trampled to bring you these photographs) watched from windows and streets throughout the village, taking their own photos and videos of the “Tent Village” that springs up over the course of an afternoon to join Gøta every year for G! 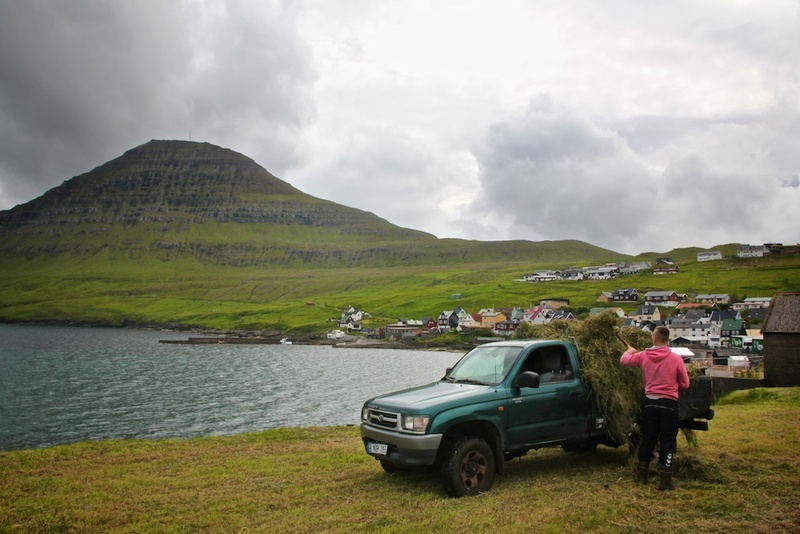 This entry was posted in Experiences, Faroe Islands, Music, Travel and tagged Faroe Islands, Faroese Summer, G! Festival, Music, Music Festival, Summer, Travel on July 17, 2014 by Miranda Metheny. I’m about halfway through my Faroese summer, and nowhere near ready to leave. Right now, I’m wandering around in a bit of a midsummer haze. My days and nights are flipped almost completely upside down. I can’t remember the last time I went to bed before 4 am or got up before noon… I think it’s been a week. 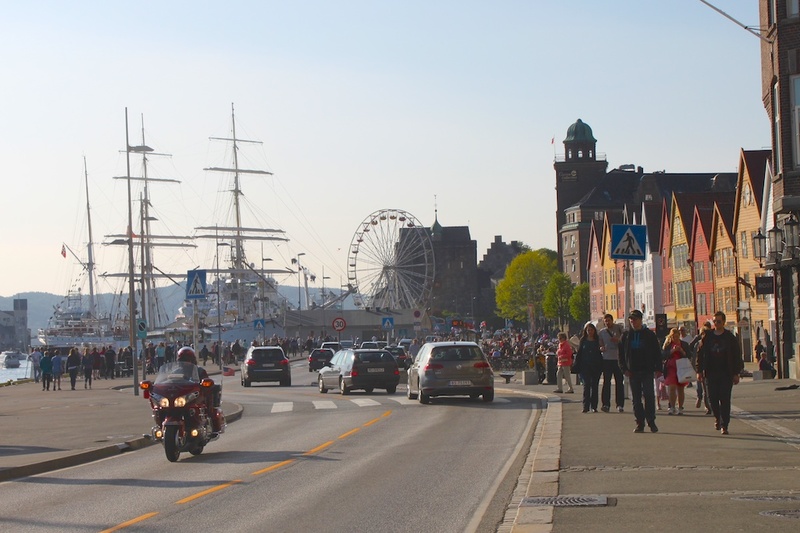 Mostly to break the cycle, I’ve planned a trip to Tórshavn and Nólsoy tomorrow, so I have to get up in time to take the 8 am bus. I think it’s time to say I’ve learned what I’ve needed to learn and met the people I’ve needed to meet in order to really do the bulk of my work here. Of course I could still keep learning and practicing and preparing forever, but the halfway point is a good time to wake up and realize that I need to really get started on serious formal interviews, writing, and such. 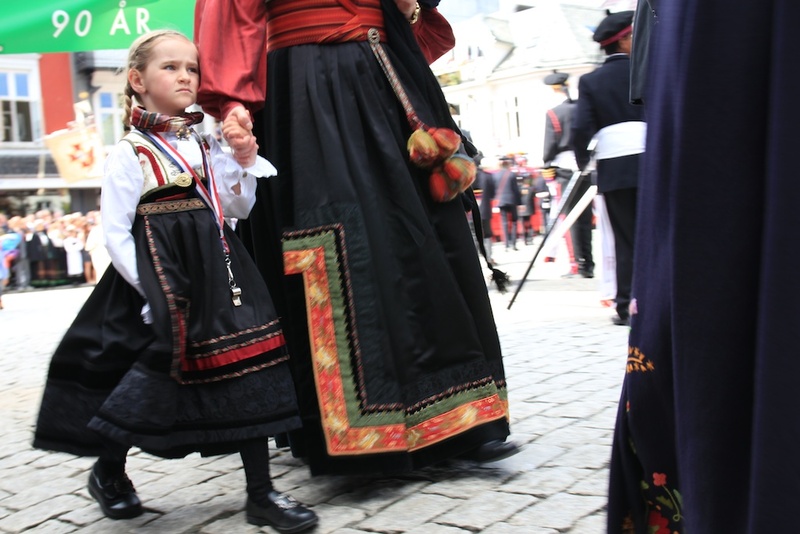 This entry was posted in Culture, Daily Life, Experiences, Faroe Islands, Journalism, Language, Travel and tagged Faroe Islands, Travel on June 25, 2014 by Miranda Metheny. 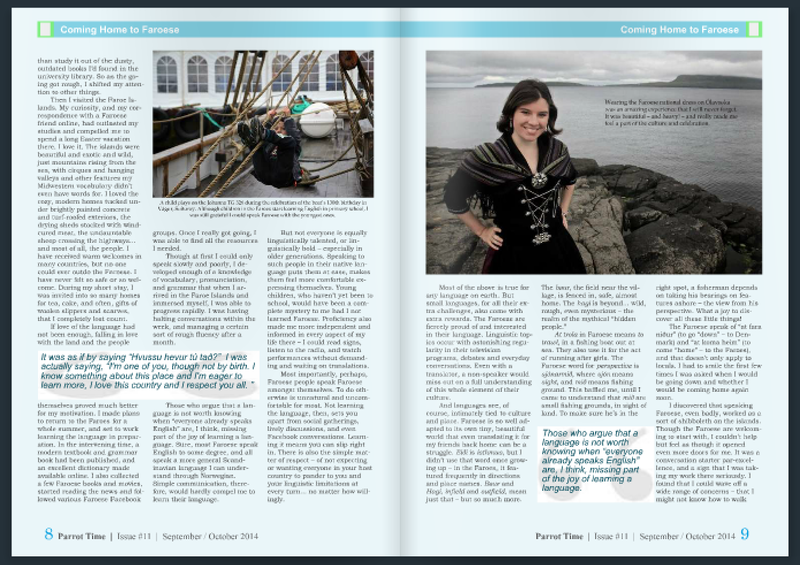 My Faroese skills have improved to the point where I can explain my project, however badly and haltingly. This in and of itself feels like cause for celebration! I am also actually driving around, between villages, through tunnels, on mountain roads. Haven’t gone by myself yet, but I feel like I’m improving every time and no longer feel like I’m going to die — just potentially annoy every other driver on the road and maybe stall out the engine (sorry, little white car). I’ve made a lot of contacts in the last week and feel much more prepared to get started with all the interviews and that sort of work now. Am I totally ready? Of course not. But I never will be. Still, I think things are going pretty well. 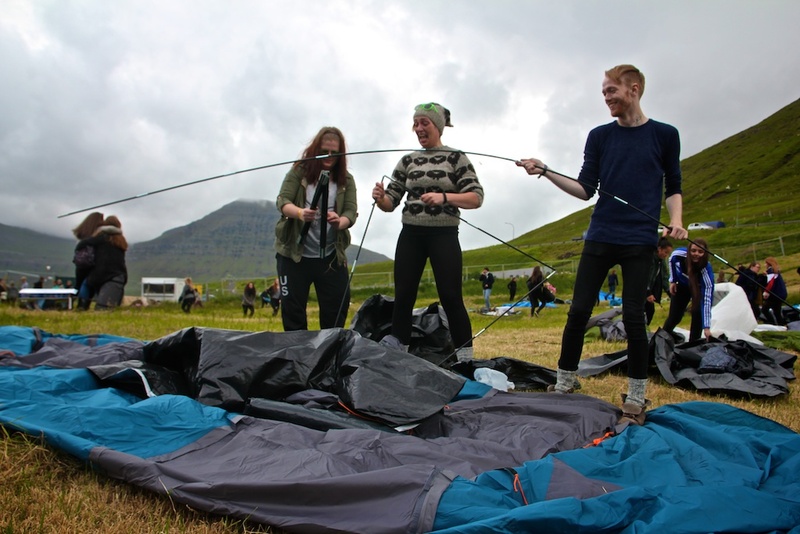 And even if every day brings new challenges, that’s half the fun — so bring it on, Føroyar! 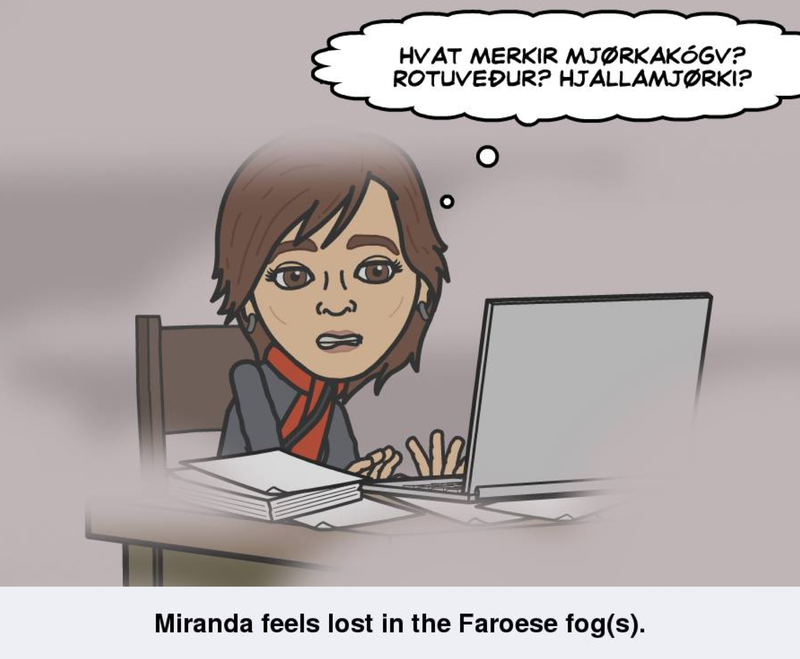 This entry was posted in Experiences, Faroe Islands, Language and tagged Faroe Islands, Travel on June 9, 2014 by Miranda Metheny. 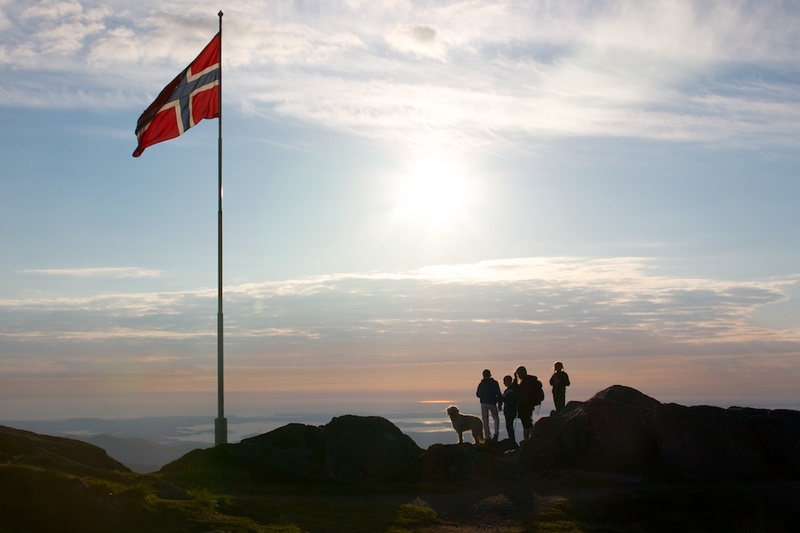 The sunset from the Old Mountain Road from Gøta to Leirvik. 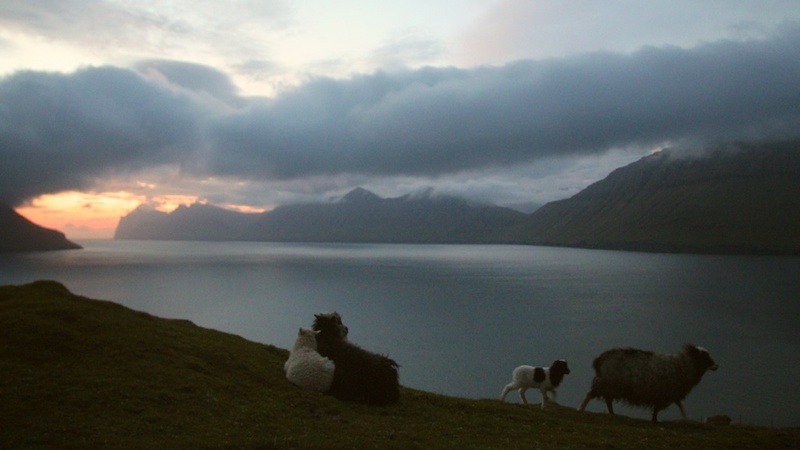 We parked on the old mountain road, where sheep and lambs frolicked beneath us as the sun set on the sea between the islands. Unfortunately, I wasn’t there to enjoy the view. 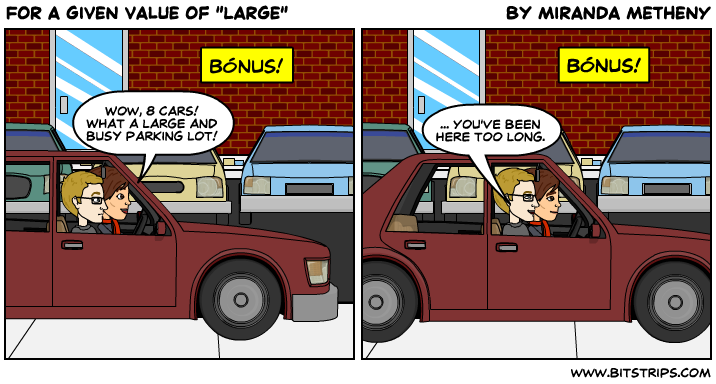 I was there to learn to drive. As I processed that information, the scene seemed to shift from idyllic to terrifying before my eyes. The narrow road angled down, steeply to my eyes, and with a slight but definite curve on top of that. To the left of the road was mountain, to the right, a little guardrail all that stood between us and the sea. I felt dizzy just thinking about getting behind the wheel — and that wasn’t even factoring in the obstacle course: a couple walking on the side of the road, the lambs crossing here and there at will, the trawling lines laid out for reorganization just a bit farther ahead. 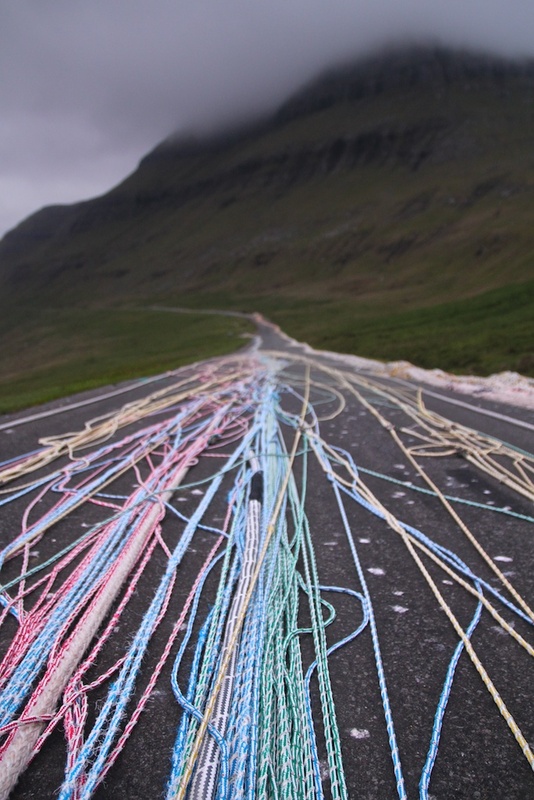 Trawling lines laid out for reorganization on the Old Mountain Road between Gøta and Leirvik. “This is where I learned to drive!” he continued. The harbor, then. Late at night. The closest thing the Faroes had to the huge, flat, empty church parking lot where I’d first learned to drive automatic almost a decade ago. Here, there was just barely enough room to get up to third gear before having to turn before we went into the ocean. Perfect. 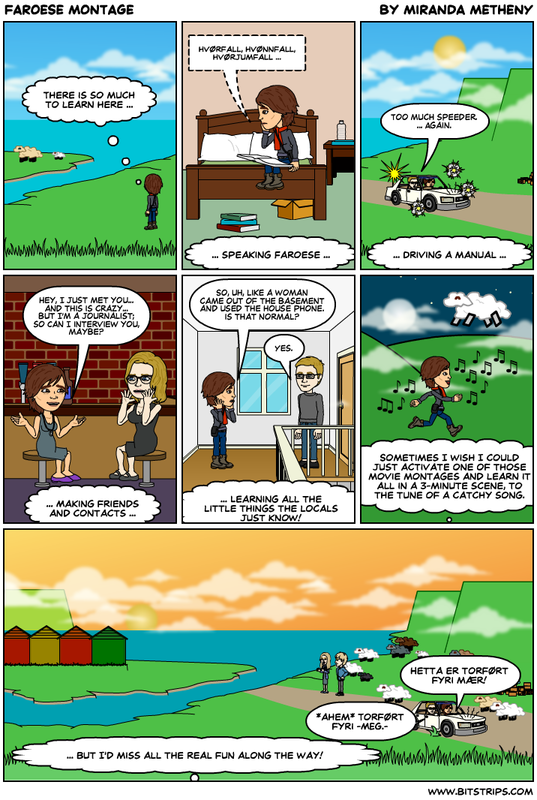 This entry was posted in Daily Life, Experiences on June 2, 2014 by Miranda Metheny. 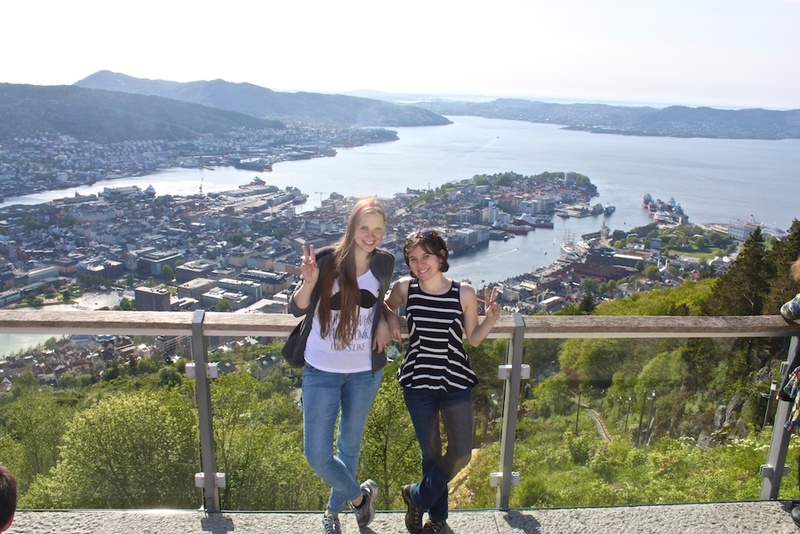 Being a foreigner is a lot like being a child. Everything is fresh, new, exciting, fun… and humbling. 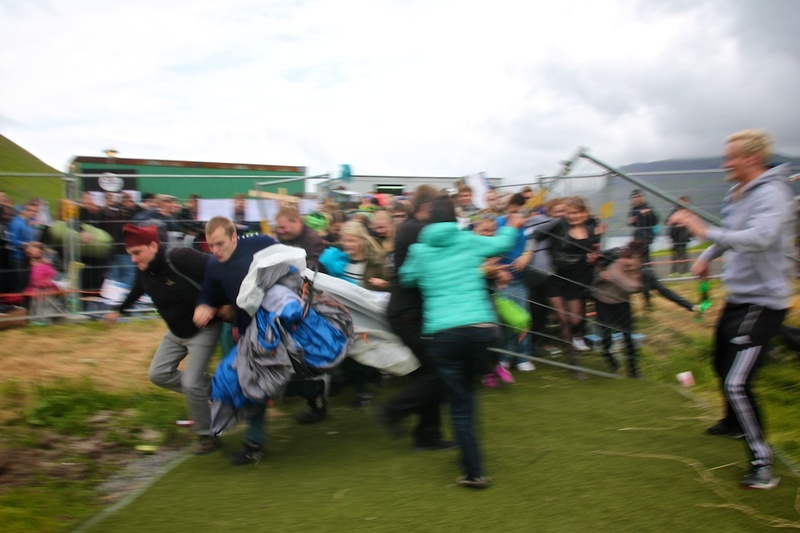 Here in the Faroe Islands, all I do is learn; sometimes at the level of a preteen, sometimes a toddler. 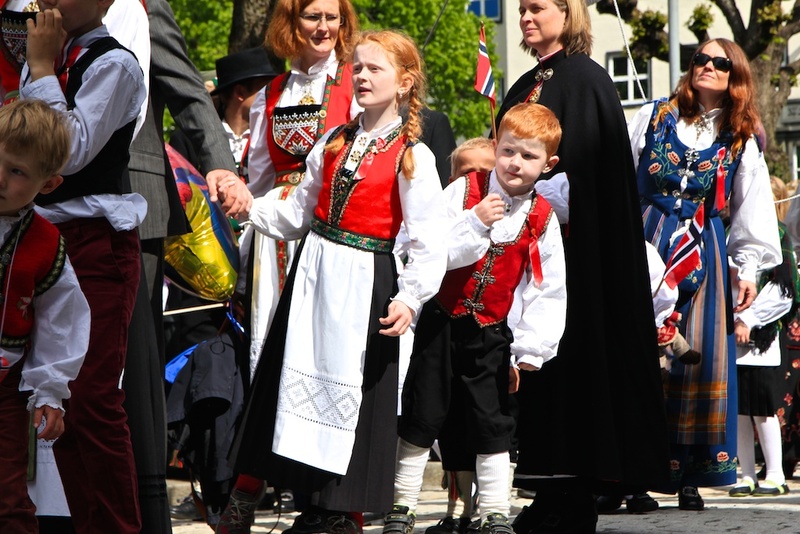 I don’t know how to speak their language, drive their cars (especially on their mountains and through their rough-hewn, one-lane tunnels), or knit a scarf (much less a beautiful Faroese sweater). Everyone here is incredibly kind and patient. 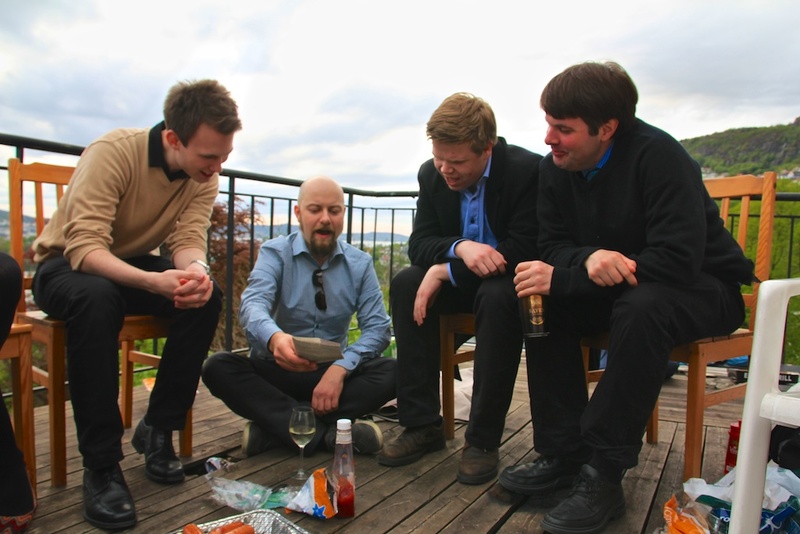 They’re willing to speak to me slowly, switch to Danish or English at my slightest hesitation (btw, guys, I know you’re doing that with good intentions, but it doesn’t always help), spend hours explaining everything to me and even let me practice stalling their car in the harbor. They worry about me, this stranger in their strange, treeless world. Sometimes their concerns are well founded. Sometimes, like when I’ve been told for the thousandth time that if I take one vertical step up a mountain in bad weather, I will fall off a massive cliff and die, I feel a little bit patronized. 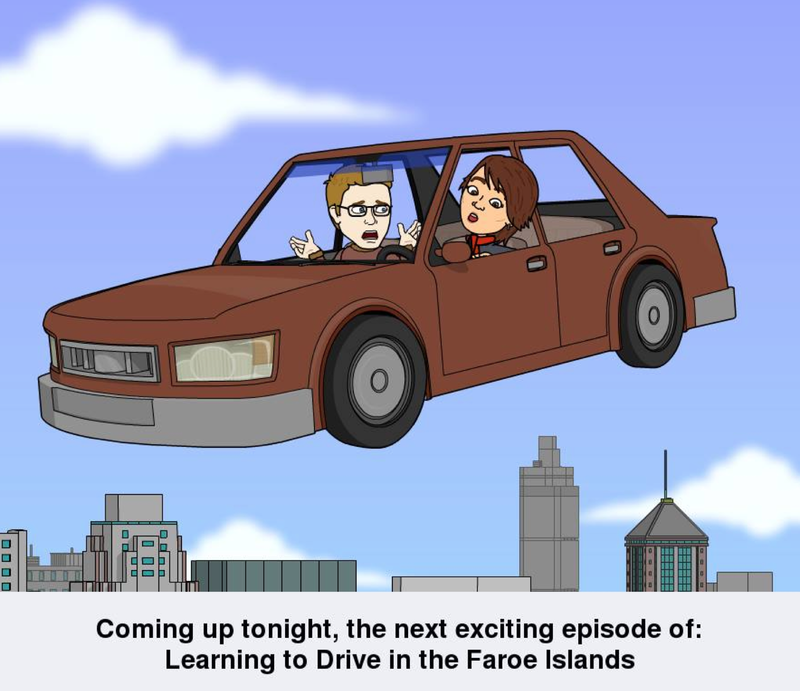 Then I hear that that happened to a Faroese girl, just last week. So I shut up. I’m still getting used to the weather here. The wind sometimes sounds like it’s trying its hardest to take down the house, late May is still not summer, 55 degrees is considered a heat wave, and there are a hundred kinds of fog — with different words for all of them. There’s dark, gloomy fog and fog as white and bright as snow. There’s fog mixed with rain and fog that parts to let the sun shine through in patches. There’s fog so thick I can barely see up the road, fog that seals in the top of our valley like a tupperware lid, fog that decorates just the peaks of the mountains like cupcake frosting. Though most of the time I feel a bit like a child, I do have my moments of triumph. I’m an exciting travelling hillbilly, after all, redneck accent in the ready for entertaining at parties. I can cook exotic and delicious dishes. 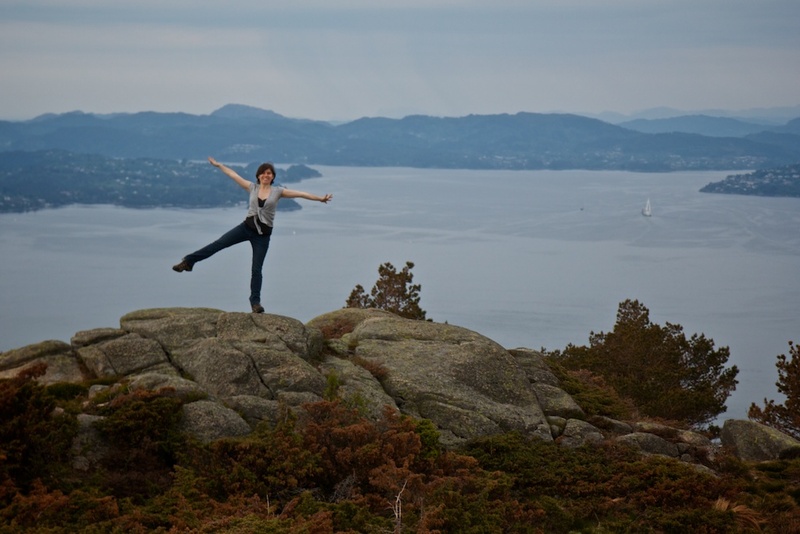 My time in Norway made me into a reasonably experienced and fit hiker. Despite my feelings of inadequacy, most people here are happy that I can say anything at all in Faroese. 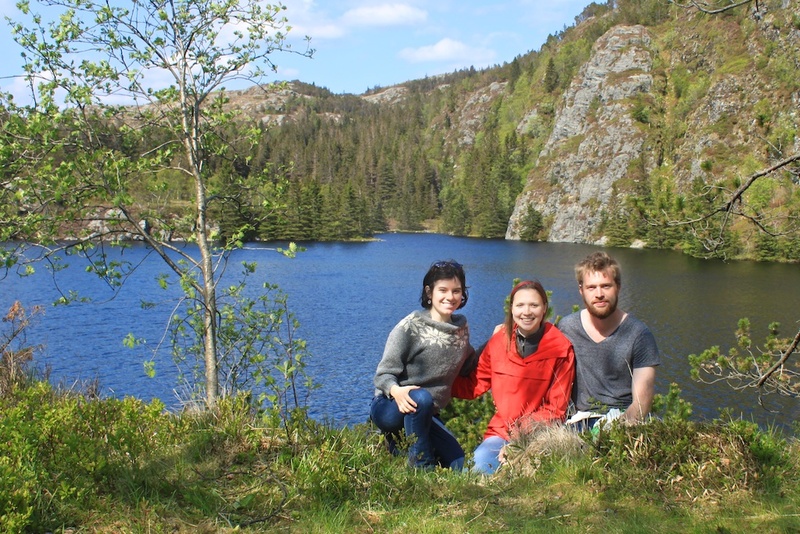 This entry was posted in Daily Life, Experiences, Language on June 2, 2014 by Miranda Metheny.